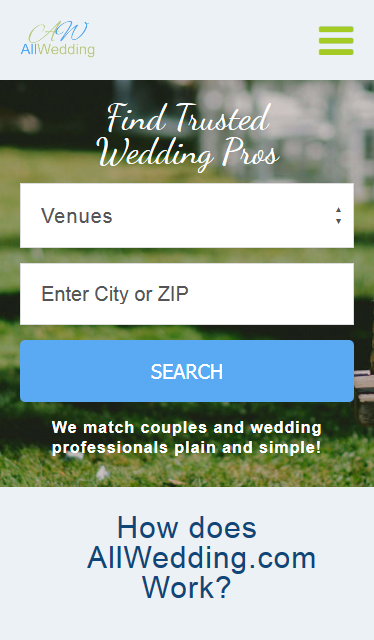 AllWedding.com Asp.net, C#, Full Mobile Reponsive Application. 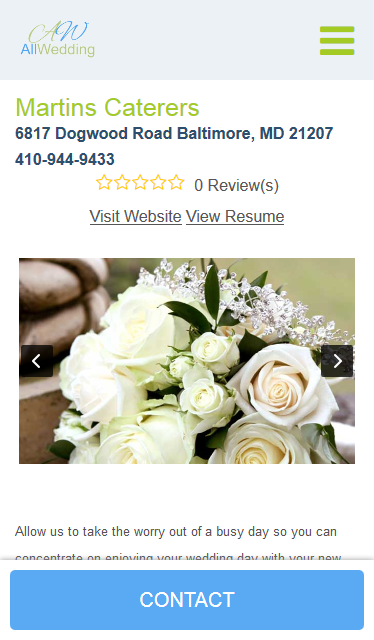 Skill Used - Asp.net, C#, Full Mobile Reponsive Application. 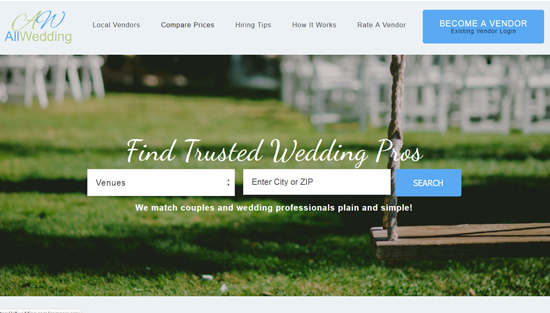 The AllWedding.com team is made up of experienced wedding professionals that know exactly what to look for in a quality wedding vendor. 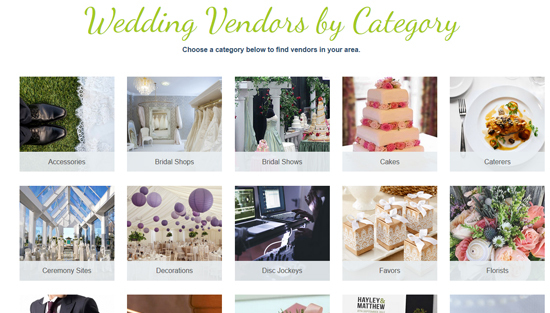 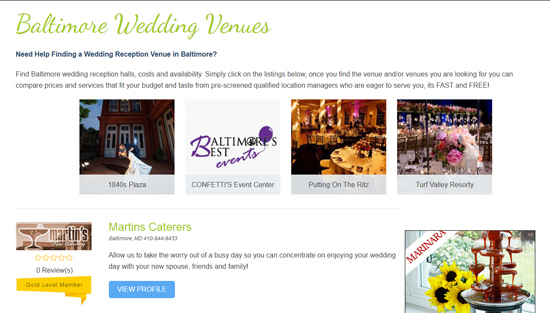 Whatever your needs- a venue, caterer, photographer or disc jockey, we at Allwedding.com strive to provide you with the best and most reliable vendors in the industry.